On a Saturday afternoon in September of 2015, Buffett returned to his birthplace, where the the town of Pascagoula honored him with the dedication of a small, yet significant bridge that crosses over the murky waters of Baptiste Bayou as it flows through the Mississippi Sound and into the Gulf of Mexico. The bridge, this particular bayou and location helps signify the humble beginnings of Buffett and what he has become to mean to so many adoring and loyal fans. As a young boy, Buffett used to crab off the pier at this location, but more importantly is the beauty of a story told to a boy by his grandfather. While visiting his grandparents’ home on Parsley Avenue, Jimmy’s grandfather, a ship captain, pulled out one of his treasured maps to share with his grandson. 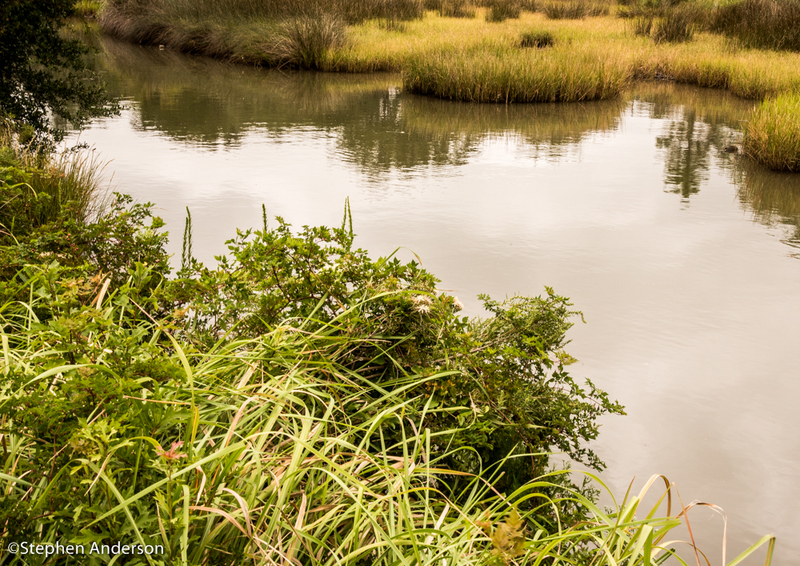 They took a brief walk to the nearby bayou and his grandfather discussed with Jimmy something that would impact his life forever. As we and the huge number of those around the globe knows, Jimmy Buffett did just that! 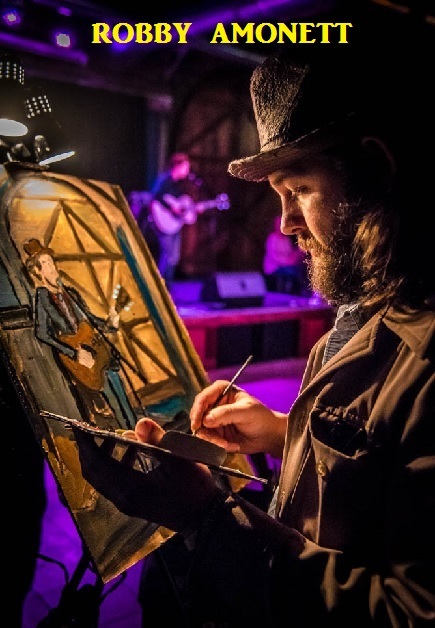 His humble beginnings in Pascagoula and along the Gulf Coast eventually led him to become one of the world’s most popular and original entertainers. Buffett may not have racked up several top ten songs (he has had only one to do so – “Margaritaville”), but he has endured an industry of constant changes. 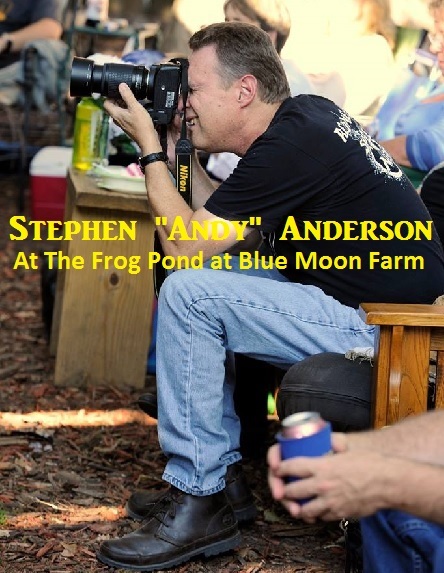 Year in and year out, he remains one of the most attended concert performers as his legion of fans, proudly known as ‘Parrotheads’ attend shows frequently. Buffett, a singer, songwriter, performer, author and one of the best entrepreneurs around has come a long ways and obviously took to heart the words of his grandfather. 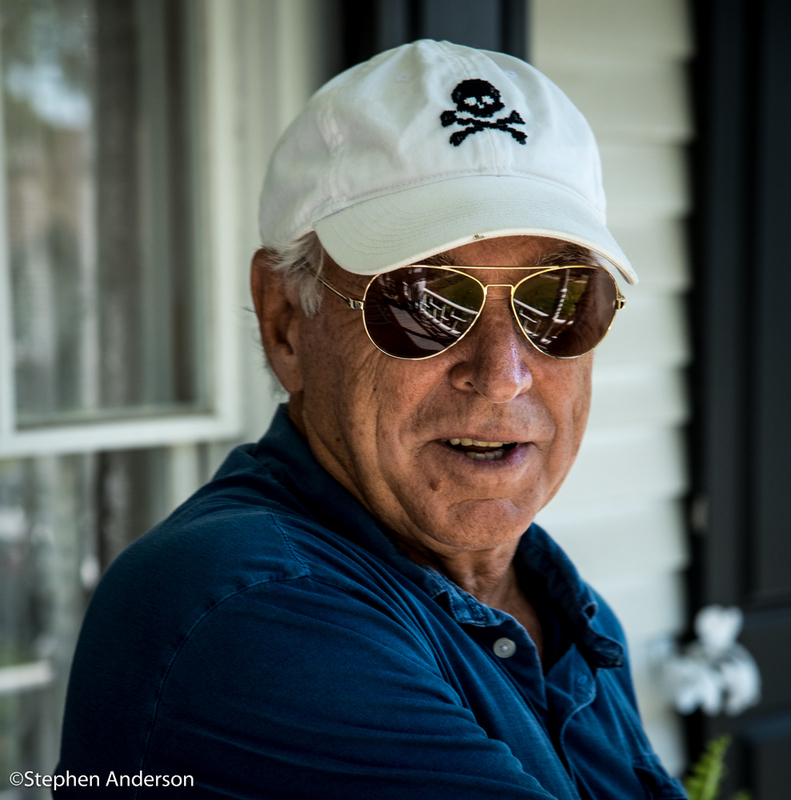 On this particular Saturday afternoon, Sept. 19, 2015, the city of Pascagoula honored one of its own, Jimmy Buffett. 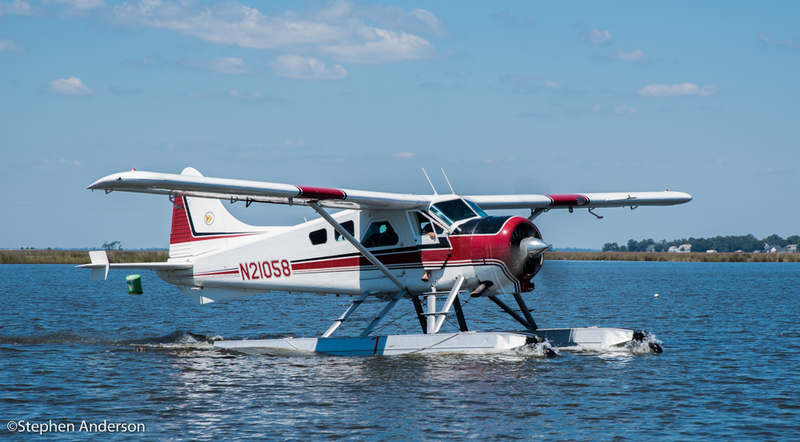 After Buffett’s sea plane touched down on the waters of Krebs Lake, he eventually made his way to the Grand Magnolia Ballroom and Suites. This would serve as ground central for most of the day’s activities. 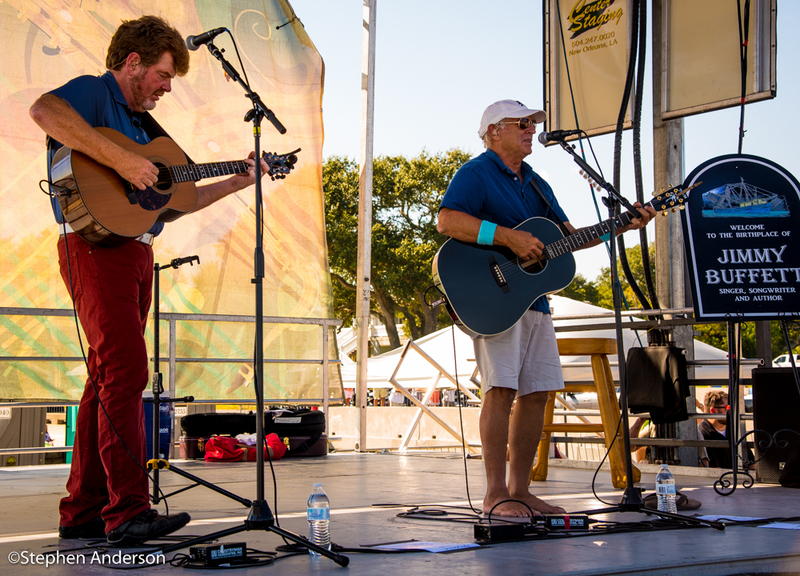 Buffett would meet up with fellow Mississippian (from Belmont, MS), a member of the Corral Reefer Band and seven time CMA Musician of the Year, Mac McAnally, to rehearse some acoustic numbers they would later perform that afternoon. At Grand Magnolia, Buffett and McAnally met with many of the organizers of the event, Pascagoula families and friends. After some interviews and photos, it would be time to join the police escorted motorcade leading to the beach and to the stage next to the bridge being named in Buffett’s honor. 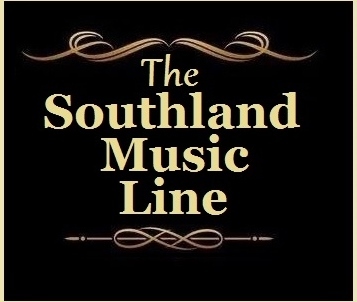 The Southland Music Line’s photographer Stephen Anderson had access for many amazing photos from the very beginning of the day’s events to its end. He too, would join the motorcade at Grand Magnolia. As Buffetts’ motorcade arrived at Pascagoula Beach, he was met by a few thousand awaiting fans and beautiful blue skies. Once on stage, the city of Pascagoula presented Buffett with several honors. 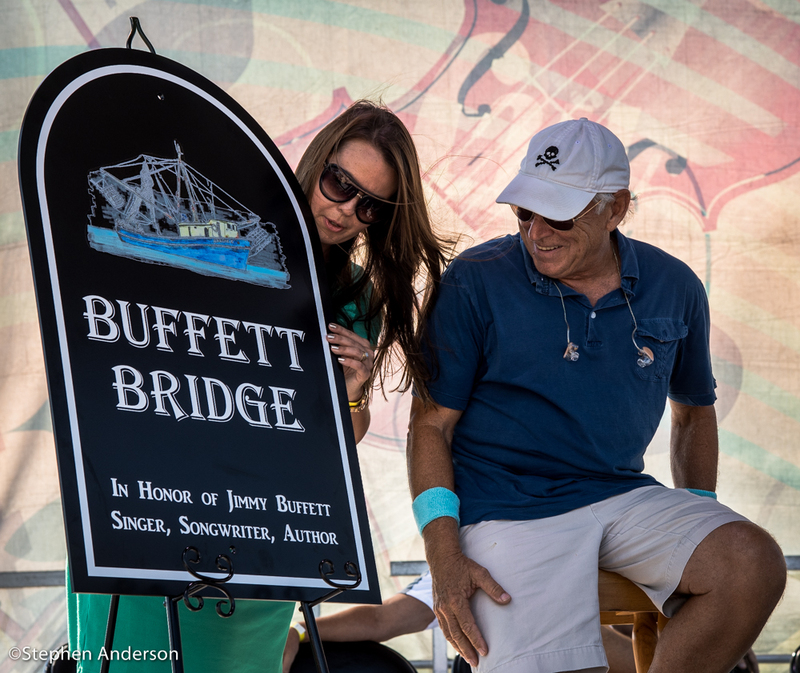 Mayor Jim Blevins presented Buffett with a key to the city and the bridge over Baptiste Bayou was officially renamed the Jimmy Buffett Bridge. 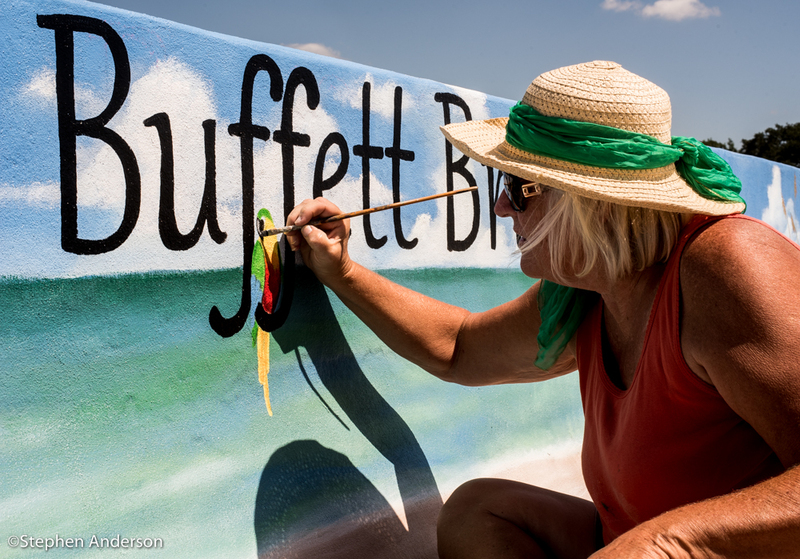 The Mississippi state legislature also proclaimed May 6 as Jimmy Buffett Day in honor of the wedding anniversary of Buffetts’ parents, James Jr. and Mary Buffett. 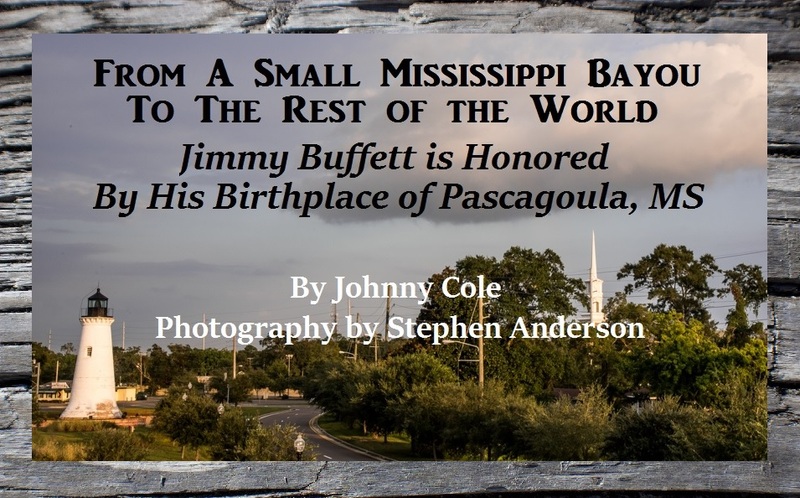 Finally presented to Buffett, the sign that would be erected at Pascagoula’s three entrances. 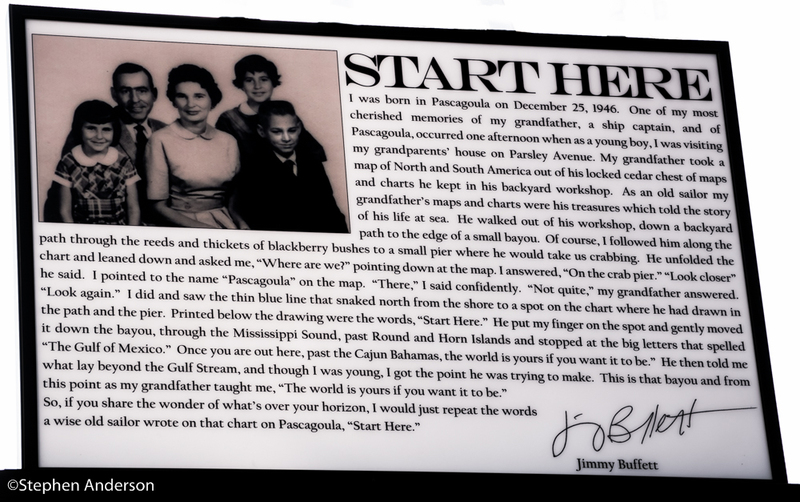 A sign that will proudly share with each passerby that Pascagoula is the birthplace of Jimmy Buffett. Following the official ceremony it was time for some music! Good friend and Pascagoula native, Franz Hanning (Pres./CEO of Wyndham Vacation Ownership) introduced the band of two – Buffett and McAnally. 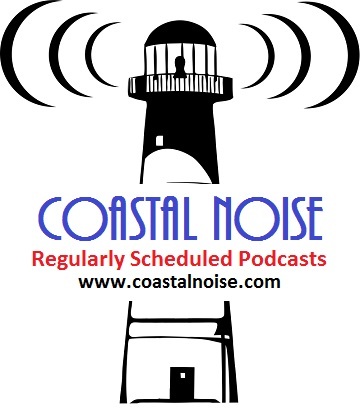 First up, was his song “Pascagoula Run” from the 1989 album “Off to See The Lizard”. 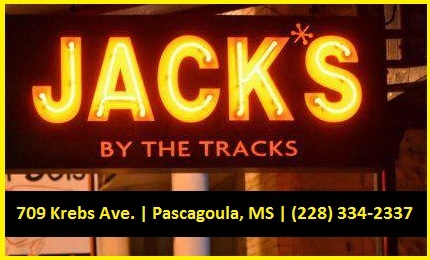 Appropriately, since it clearly uses Pascagoula within its title. 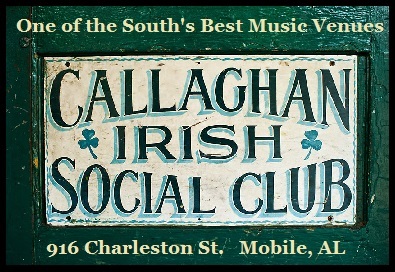 The 40 minute set continued with “Life is Just a Tire Swing”, “Son of Son of Sailor”, “Bama Breeze” and of course, “Margaritaville”. Also included in the set was mention of another fellow Pascagoulian, Charlie Hickson, famous for his tales of an alien abduction in 1973. Buffett performed a cover of The Byrd’s classic “Mr. Space Man”. A song Buffett actually performed in his participation on the 1994 Muppet’s album “Kermit Unpigged”. Every time you hear Mac McAnally perform it’s easy to understand why he continues to receive so many instrumentalist of the year honors. 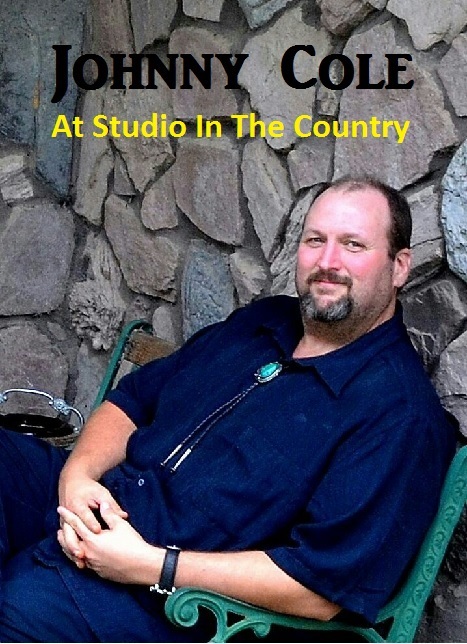 On this day he performed an amazing rendition of Duane Allman’s “Little Martha” and was later joined by Buffett for a performance of his song “Back Where I Come From”. A perfect song by McAnally and Buffett to perform on this occasion. The show ended on a much loved and emotional note with Buffett’s ode to his grandfather, “The Captain and the Kid”. Following the show, Jimmy Buffett and his daughter stopped briefly by the old home of his grandparents on Parsley Avenue where his grandfather had told him such inspirational words so many years ago. 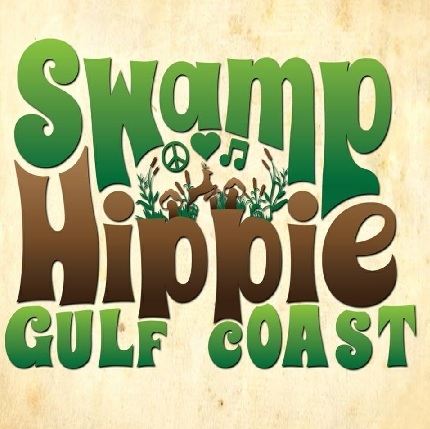 Jimmy Buffett took to heart those words, followed that bayou to the rest of the world and has likely fulfilled even his wildest dreams. 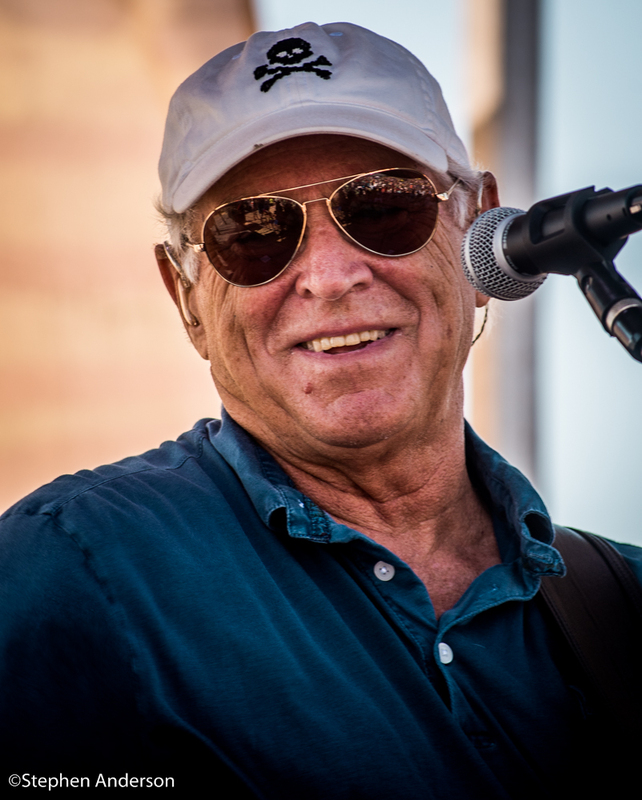 The city of Pascagoula, the Gulf Coast and the entire region has much appreciation for Jimmy Buffett and is happy to call him one of its own. This was never so true as it was on this sunny afternoon in September. 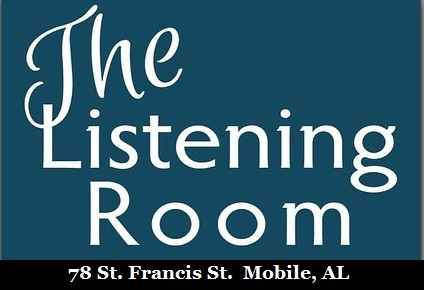 Tagged Birthplace, Grand Magnolia Ballroom and Suites, Gulf Coast Music Scene, Jackson County Mississippi, Jimmy Buffett Bridge, Jimmy Buffett Day, Mississippi, Mississippi Gulf Coast, Mississippi Gulf Coast Music Scene, Mississippi Music, Pascagoula Mississippi, Scranton's Restaurant and Catering, Southern Music News, Southern Music Scene, Southern Musicians, Stephen Anderson.